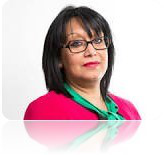 The IKE Institute's Patron is Baroness Sandip Verma, a member of the House of Lords and a former Government Minister as well as an advocate on innovation and STEM education. IKE’s Innovation Council is comprised of over forty c-suite executives from organisations representing all economic sectors. The Innovation Council guides the Institute's work, commissions research and provides direction and insight to help formulate investment and innovation strategies for new products, markets and organisational improvements. The Council believes that Innovation can happen - can be made to happen - anywhere and everywhere in any organisation. Sustainable growth and improvment in value can be achieved with innovation. It requires entrepreneurial behaviours, agile climate, disciplined execution and determined leadership.